A balsamic tangerine vinaigrette coats fresh fruit. Topped with chia, sunflower seeds, almonds and fresh mint. Serve with yogurt for a flavourful breakfast option. Whisk together Hellmann's® Balsamic Dressing with the tangerine juice. 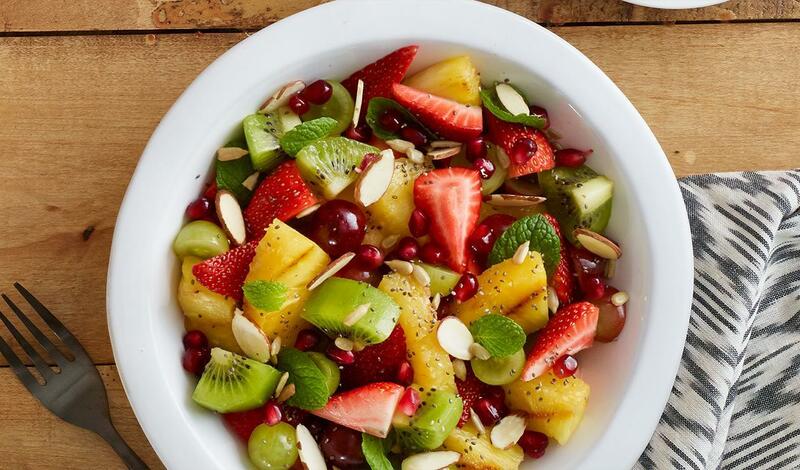 Combine the prepared dressing with the fresh fruit. Garnish with seeds, nuts, and mint.